This week, the State of Oklahoma announced that it is forgetting all about lethal injections because it has not been able to get the necessary toxic drugs to use for executions. This week, the Supreme Court of the United States declined to consider the case coming out of Texas, where Death Row inmates petitioned SCOTUS to review their claims that Texas’ use of pentobarbital in lethal injection executions is cruel and unusual punishment. The thing about lethal injection is that it’s an execution method usually built around a combination of drugs. And those drugs might not be the same. Firing Squad, Gas Chamber, Electrocution for Executions? In Mississippi (and elsewhere), the lethal injection method of execution is so problematic these days that state governments are considering the return to past methods of killing people in capital punishment sentences. Constitutional Protection for Pharmacy Supplying Missouri Execution Drugs? The State of Missouri is buying its lethal injection drugs from a pharmacy. The identity of that supplier is a secret. Does Pharmacy Have Constitutionally Protected Speech Over Products It Sells? The supplier has provided the drugs used in 16 executions in the State of Missouri. Here’s the question: are controversies surrounding the drug or drugs used in lethal injection executions enough to halt capital punishment altogether? Even though there are other, legal methods of execution on the books? This week, the Supreme Court of the United States issued its ruling in Glossip v. Gross . Many thought that the possibilities ranged from (1) outlawing the use of the single drug midazolam; (2) outlawing the lethal injection method of execution in all forms; or (3) reconsidering capital punishment entirely. Lethal Injection: Who Gives the Shot? Executions need executioners. One of the challenges to the lethal injection method of execution in the United States involves the drugs used in the process, and we post about those controversies (and the arguments being made in various courts) regularly. Death Penalty and the Supreme Court: What Will SCOTUS Do? 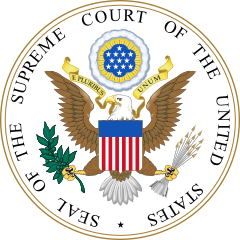 Right now, the Supreme Court of the United States is considering several cases dealing with capital punishment and how the death penalty is to be carried out in this country.